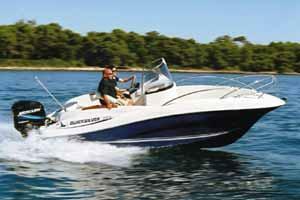 Boat Description The all new 555 is the junior version of the 635 Commander. The same stylish looks, the same basic features. All the same functionality in a slightly smaller package. Its easy to trailer and easy to store when youre not using it.